ADX1M bodypack transmitters exclusively use SB910 lithium-ion rechargeable batteries. 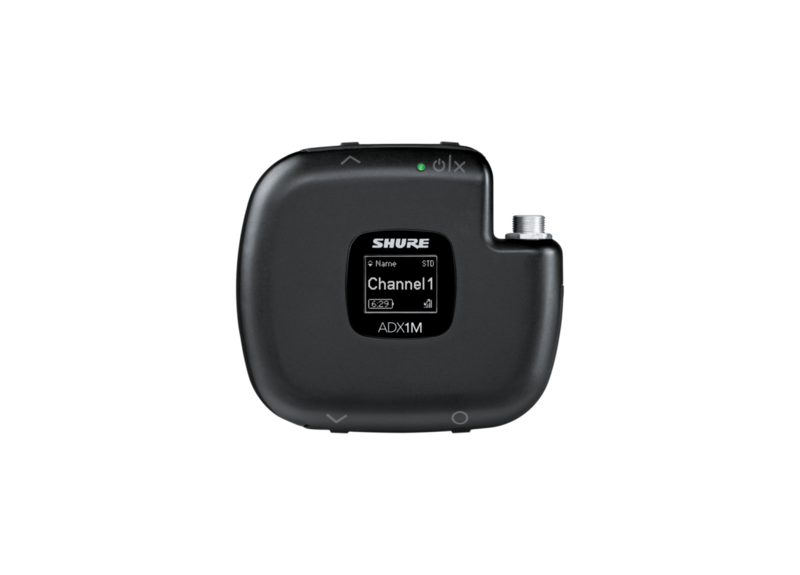 ADX1M delivers impeccable audio quality and RF performance, and is equipped with ShowLink® remote control for real-time parameter adjustments and interference avoidance. The contoured form factor and lightweight PEI construction offer both comfort and heat resistance. This transmitter features wide tuning, High Density (HD) mode, encryption, and advanced rechargeability. Sealed switches and LEMO connector protect against moisture, while the OLED display provides excellent visibility in low-light environments. Includes two SB910M rechargeable batteries.